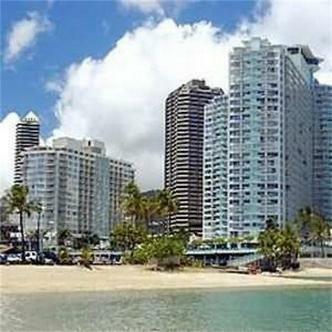 The Ilikai offers the best in Hawaii lodging options, with Waikiki accommodations to suit your every needs. From our ocean view rooms and two bedroom suites to our spectacular meeting space, Hawaii travel has never been more accommodating. Whether you are planning a Hawaii family getaway or conducting business away from home, The Ilikai hotel staff is here to serve you.The smoke-free, open-air lobby and relaxing courtyard of The Ilikai lead you to the pathway to the beach and offers breathtaking views of the ocean and sunsets.The Ilikai rooms with balconies are spacious with ocean and city views and many rooms equipped with kitchens. The Ilikai is one of the best hotels in Hawaii. Our friendly staff and great views are only part of what makes this Waikiki hotel one of the best hotels in Hawaii.Room Types varies with combinations of views, king bed, double beds, kitchen, shower, and bath tubs.Recreation is available at our concierge (tour) desk located in our lobby. Pickup for most tours is at the front entrance of the hotel.Located near Waikiki, shopping centers, convention center, restaurants and beach.Room Types varies with combinations of views, king bed, double beds, kitchen, shower, and bath tubs.Room Types varies with combinations of views, king bed, double beds, kitchen, shower, and bath tubs.Recreation is available at our concierge (tour) desk located in our lobby. Pickup for most tours is at the front entrance of the hotel.Located near Waikiki, shopping centers, convention center, restaurants and beach.